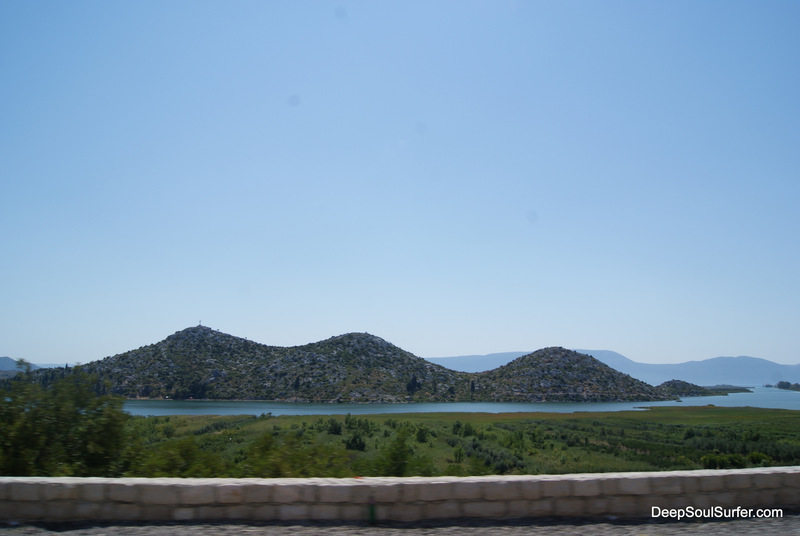 As it has became a kind of a tradition of the Ypsilon Institute, we were off to the Dalmatian Coast of Croatia, to the city of Opuzen by the Delta of Neretva river. It has been our base city and from there we drove to the nearby Kite-boarding surf spot, managed by Kaikala Kite-surf school. Other than kite-surfing, relaxing, enjoying the trully local food and meeting genuinely good hearted local people, there is not much to do here. Five years ago nobody even knew about this breathtaking place, it was just a beautiful area to drive-by from Split to Dubrovnik. 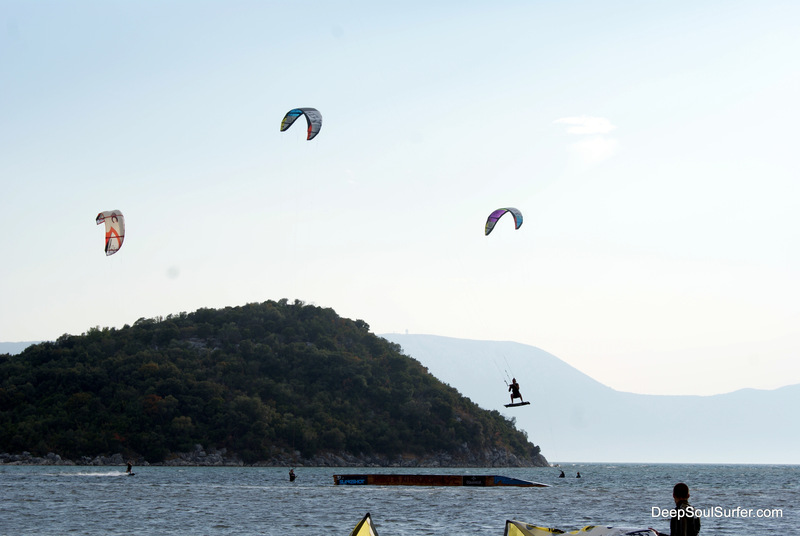 And we can only thank Ivica Odak, Domen Simčič and Soni Makarovič from Kaikala Kite-surf school for discovering a perfect kite-surfing playground by the delta of the river Neretva and consequently this marvelous, untouched area of Croatian coast, where you can still feel the pleasant, welcoming, cheerful and relaxed local vibe. 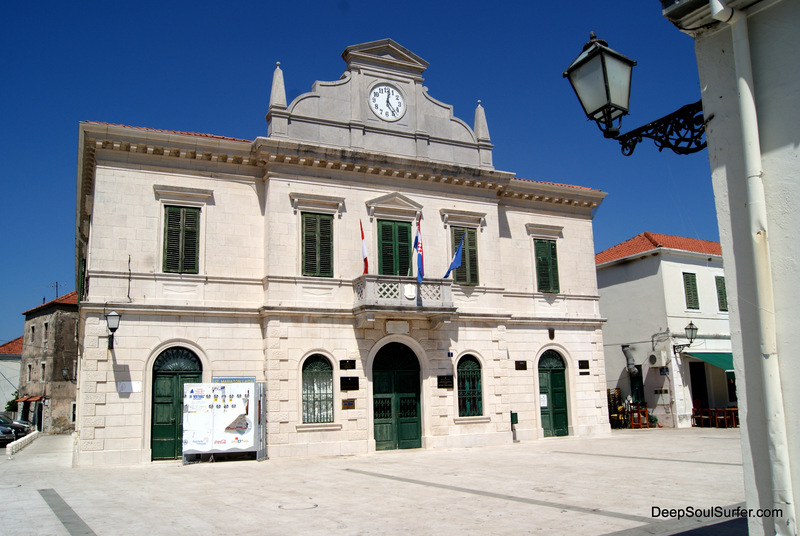 Falling in love with this Ploče, Blace, Metković and Opuzen area. This is definitely the main attraction of the area. There is a place of the coast near Blace, where most of the afternoons are blessed with a steady 15 – 30 knots winds. 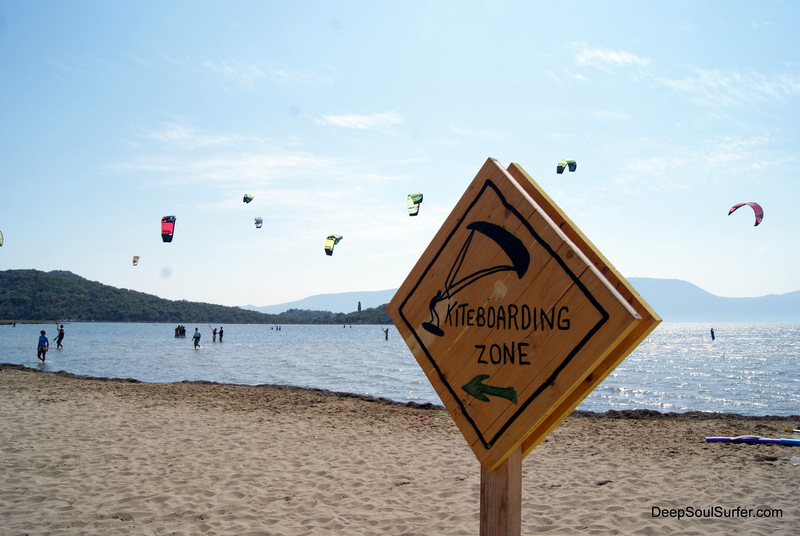 Perfect for kite-surfing. 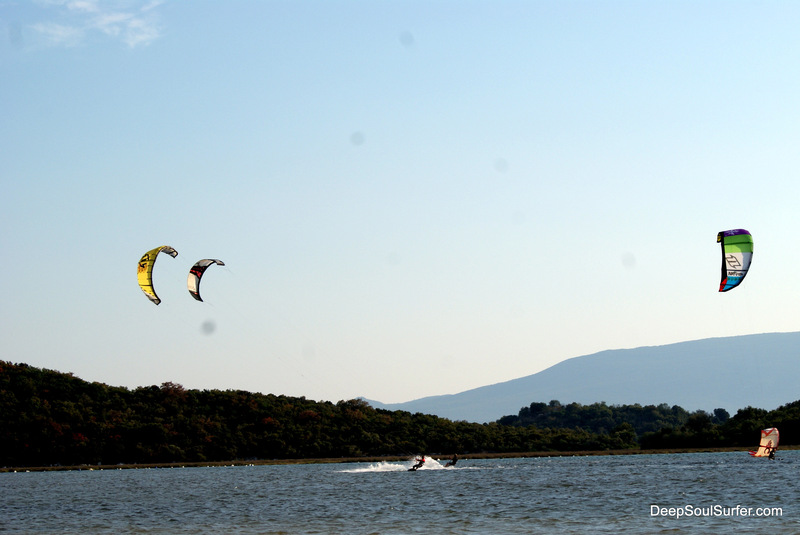 What’s more, the water in the area of the Neretva river delta is very shallow in large areas, which makes learning kite-surfing a lot more easier, safer and definitely more fun. We made a lot of progress in managing the powerful winds in our kites. The instructors are very attentive and the progress with them seems like a piece of cake. In my opinion, the whole things is too much on the safe side . . . for an adrenaline sport. But you have to know, that I am no authority in safety whatsoever. I mostly learn the most from failing. Like a bouncing ball. The harder you smash it to the ground, the higher it will bounce back up. Sure, I sometimes get hurt, but it takes learning to new highs much, much faster. We were doing the beginner kite-surfing exercises. On the last day, we even got the kite with full size lines. For the first days we had kites with the half-sized lines, as it is much more easier to manage the kite and thus more appropriate for beginners. 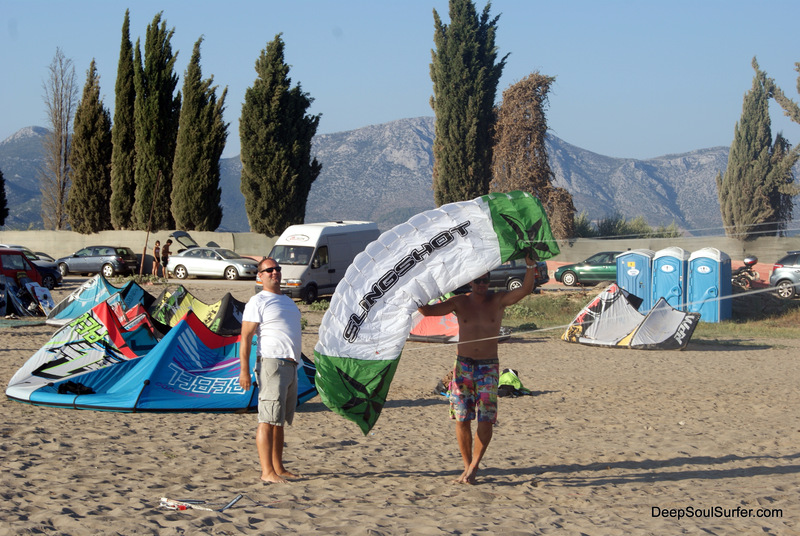 We were a day short to be able to try out the kite and the board together. But there’s no hurry. 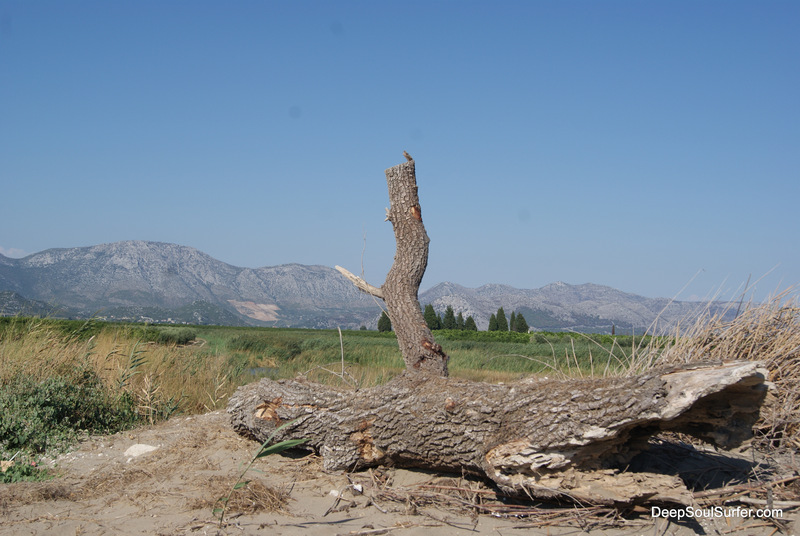 We’ll be back to Kaikala soon, to master the powerful winds of Dalmatia. When I discovered we will be sleeping in a hotel, I was not the most excited about the fact. In this area I would rather be in a private accommodation. But that was just based on my previous experience of hotels. This one is much much different. 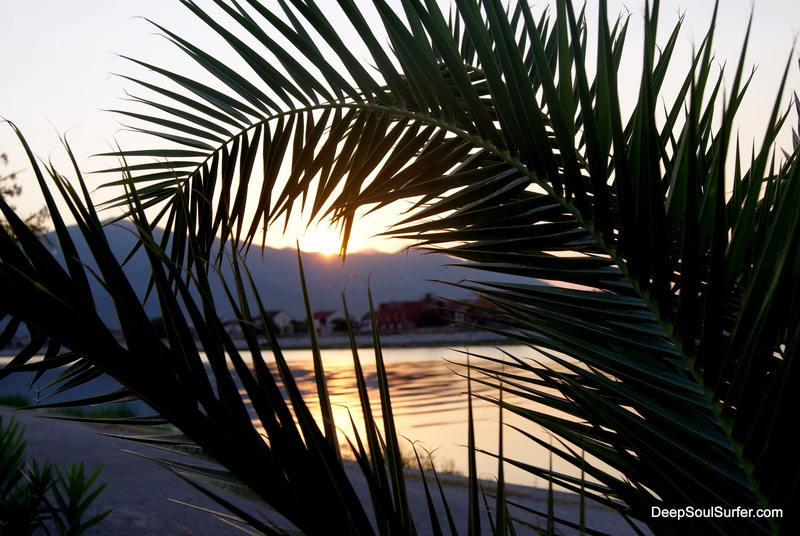 It’s a small, family owned motel, Motel Delta by the river Neretva in the center of Opuzen. The rooms are coasy and air-conditioned. Each has a pleasant view of the river. Everything is tidy and clean. There is a bar down stairs where the local people are hanging out. And it’s so lovely to get to know the local people. It makes you feel the vibe of the place on a much deeper level. Everything is so relaxed here. Really pleasant. We came up with one version of good, better, the best. In Croatian language it goes like Opušten, Opušen, Opuzen (eng: Chilled, relaxed, Opuzen (the city)) And it really is like this. Just a lovely, friendly vibe. Just about everything you can eat in these small restaurants here is local, fresh and very tasty. We had a diner one evening at Konoba na Kantini, which you can find in the center of Opuzen, behind the main church on the left side. It’s a small place with only two tables. They severe only fresh and freshly prepared food and to eat there you have to make an appointment a day before. But the food was just spectacular. 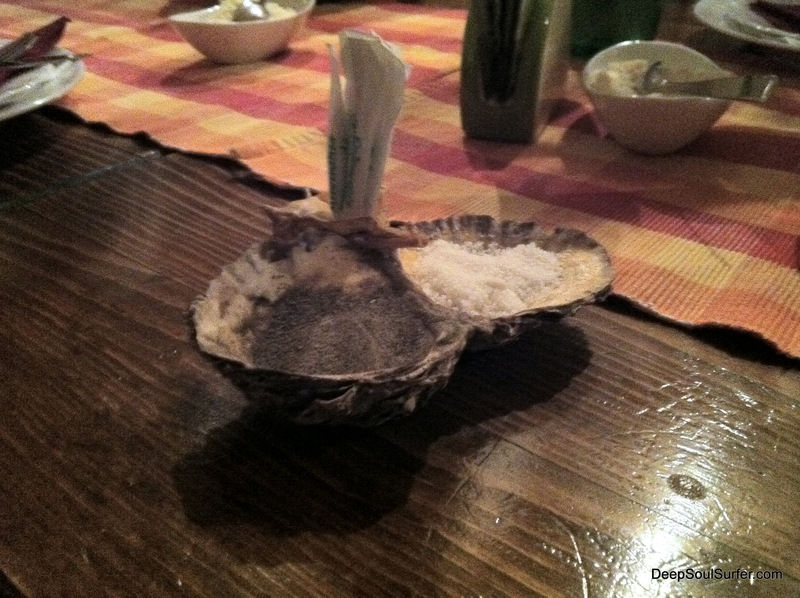 I think that dinner was the most tasty sea food I have ever eaten so far. 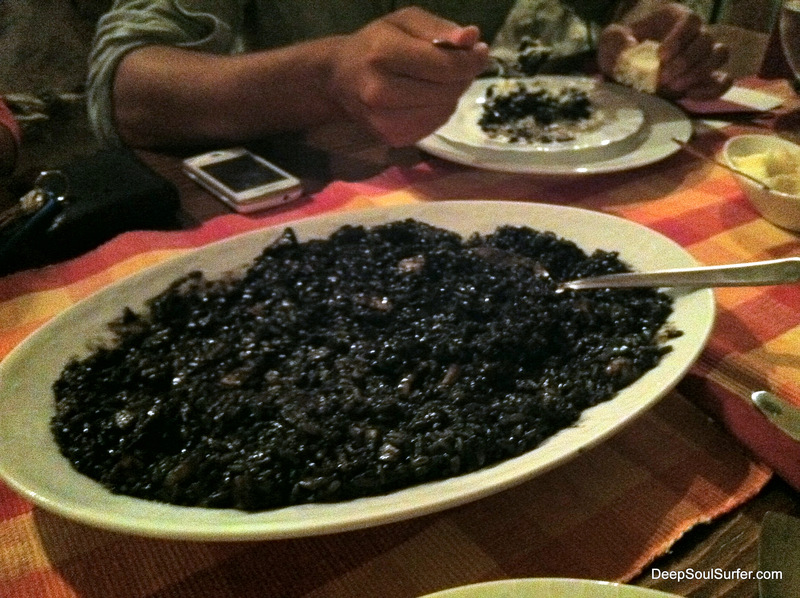 The first dish was Cuttlefish Risotto, which is a specialty in this place. They put the ink of the fish in it and that’s why the color of it is completely black. Really tasty. 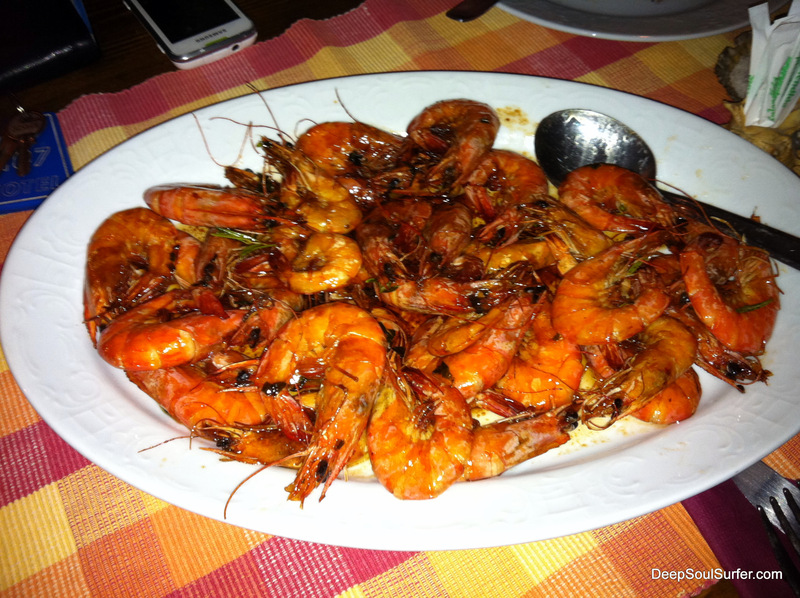 After that we had grilled shrimps with mandarin honey. That was just an endless sensation of pleasurable tastes in our mouths. It was a complete enjoyable experience in the very locally furnished interior, to enhance the pleasurable feelings of the food. Absolutely perfect. 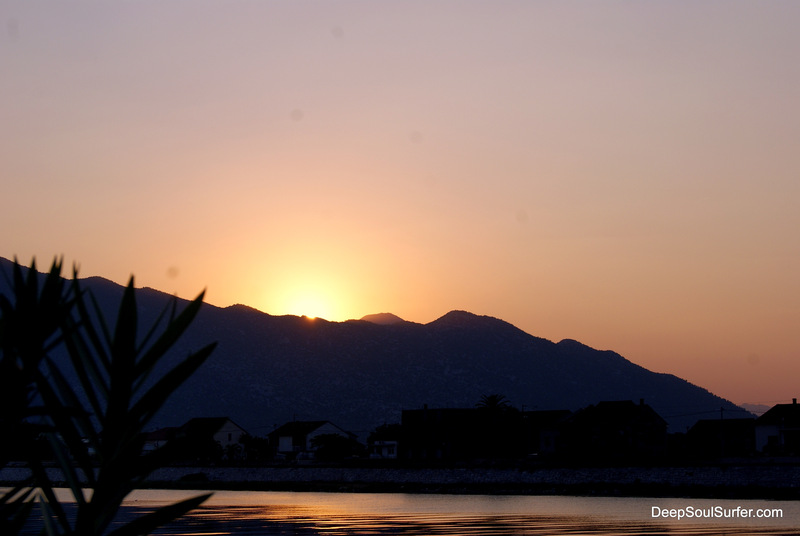 Opuzen is a nice dalmatian coastal city by the delta of the Neretva river. 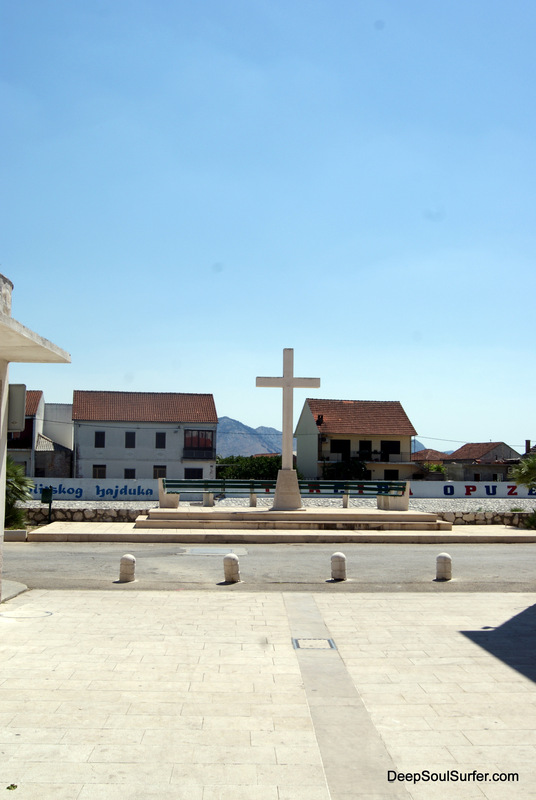 It has a nice, small main square with the mini church and the City hall. 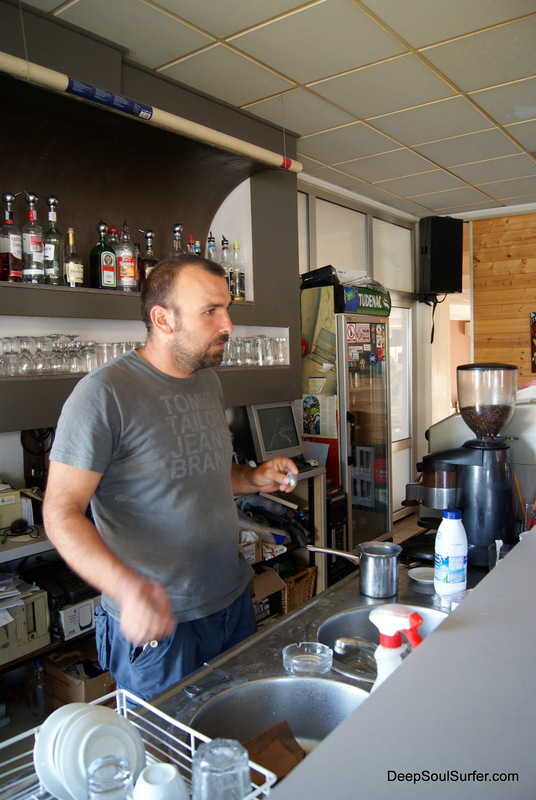 There is also a lot of local bars and restaurants to be found there. 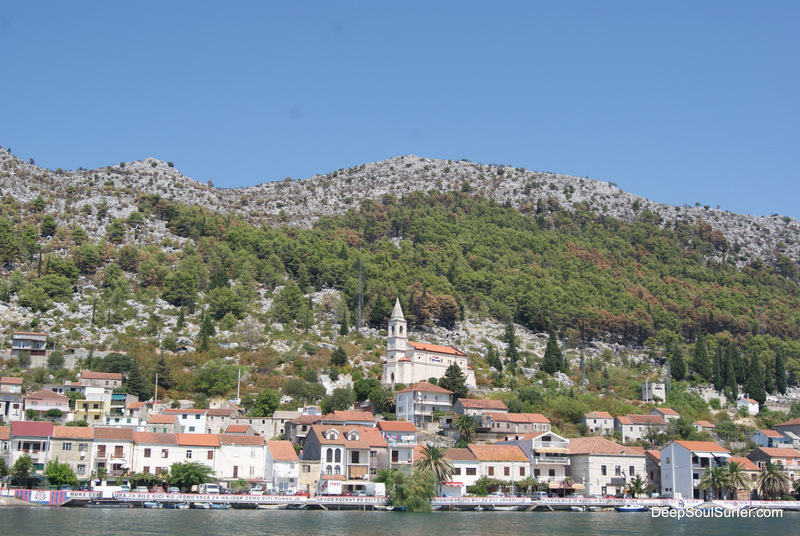 It’s probably not the nicest place you can find in Croatia, but it’s the kind of place, where you can feel the true, loving local vibe in the middle of the summer and not the tourist vibe. And that makes it special in a unique kind of way. The prices here are also local. For example I paid something like 2,5 EUR for a hot-dog and a 0,5L Coca-cola on the beach. 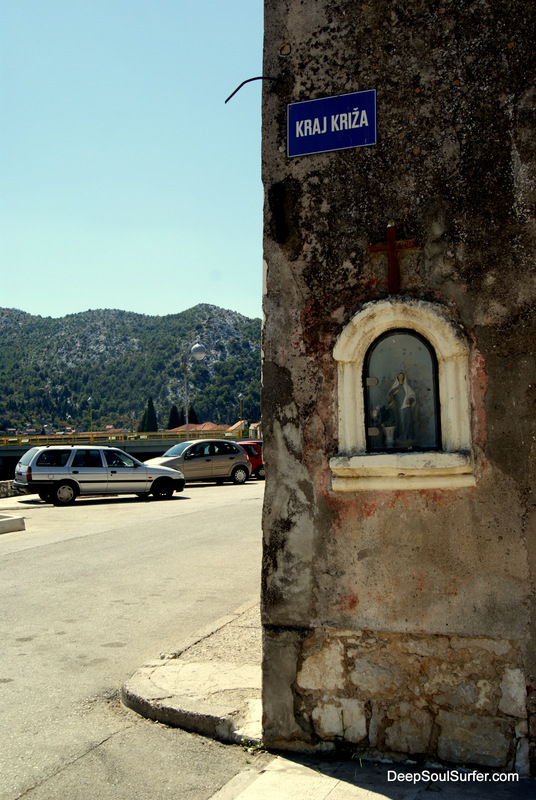 While a friend of mine paid 2 Eur for just a 0,25L Coca-cola in Korčula, a well known Croatian Island. 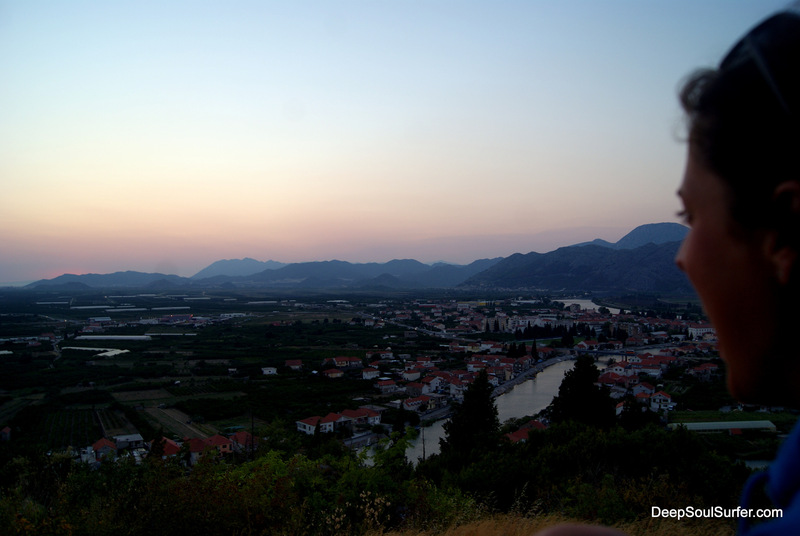 On our way to the gas station in Metković one evening we drove by one hill fort not far away from the main road. And we decided we are going to stop there on our way back to Opuzen. When we came up the fort, called “Fortica” (eng: small fort) we met a guy named Pero, who is a fire guard in the fort. 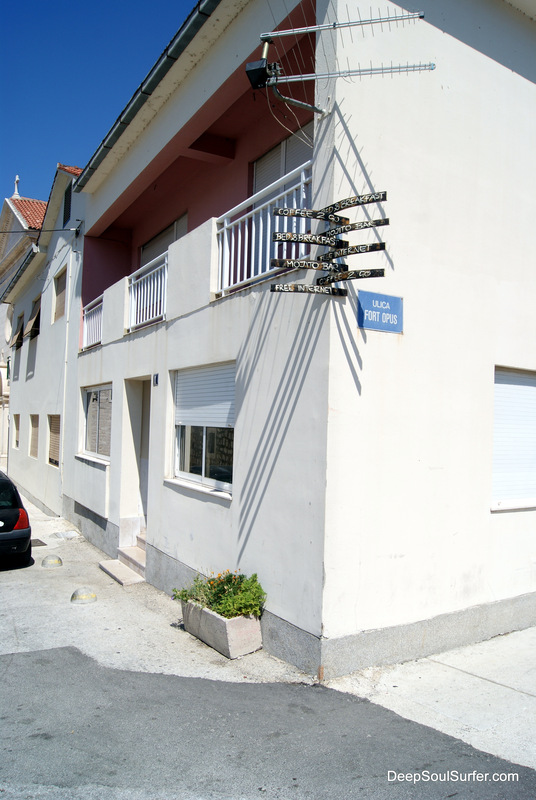 In the hot and dry summer months, there is a huge probability of natural fires, so they put up fire guards to response faster in the case of a natural fire emergency. We asked Pero, which royal family was the owner of this Castle, Fort. 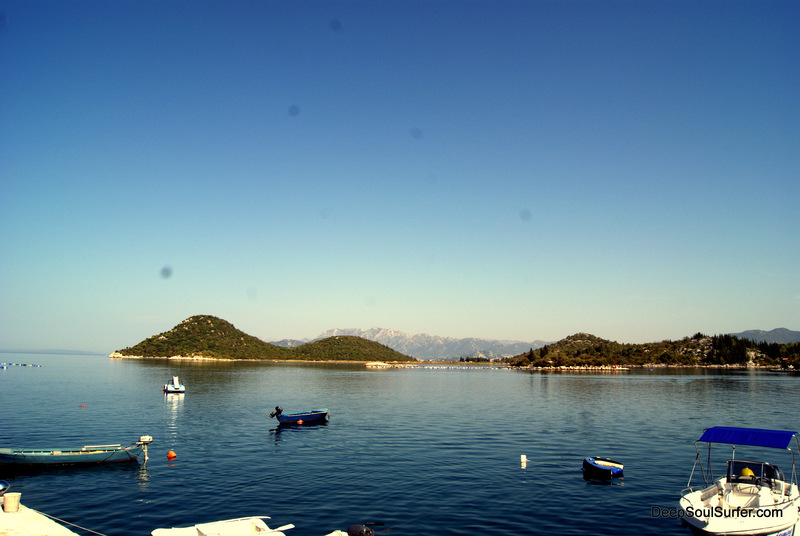 He just smiled and said: “Gusari S Neretve” (Pirates of Neretva). Was quite funny. But it would be interesting to know, what the pirates were doing in this area. This question is to be answered clearly on my next visit. But for now it seems, they too have fallen in love with the place. Even tough Opuzen is a small city, there was events happening every day. 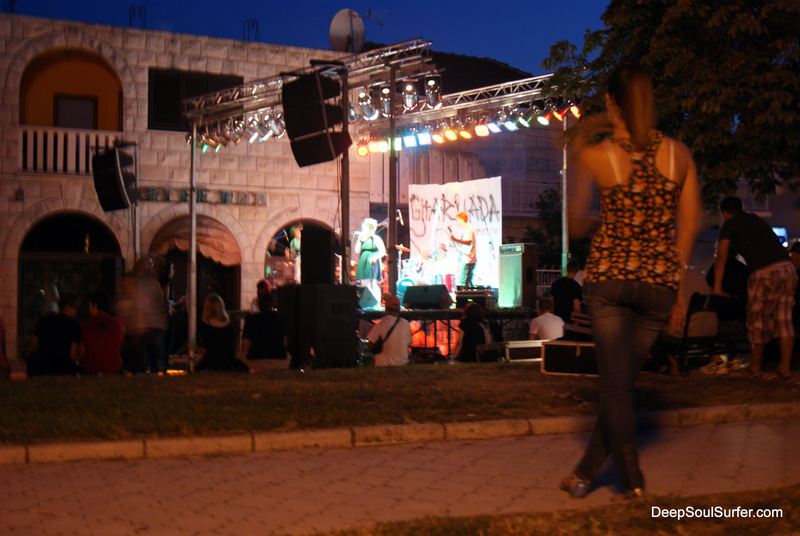 One day they had a concert with rock and punk music by the river. They had an event for the Christian Holiday, August 15., a cultural event and a week long film festival, called Opuzen Film Festival, OFF. In the promotional catalog, one picture in particular captured my attention. To me, it has quite a uniting meaning. Another night there was a concert evening of the Folk music singer, called Klape. Its quite spectacular what can be created just by using the voice. And the late evenings, we spend hanging out a the Kaikala surf spot or at Azzuro bar in Blace, where most of the Kite-surfers are going. All in all was a completley perfect kite surfing trip. And Opuzen, I’m coming back for sure. They say it’s the people that make the place amazing. 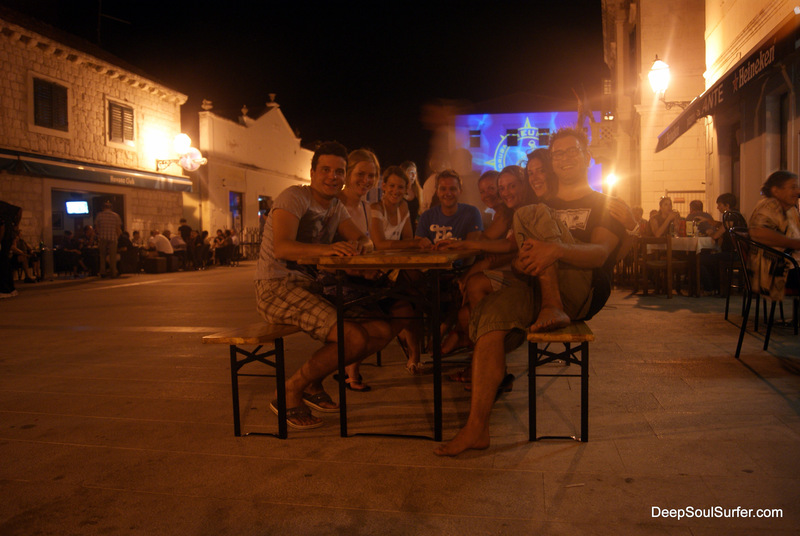 And the vibe in Opuzen is just about right Opušten (eng: relaxed) to be able to enjoy this completely. 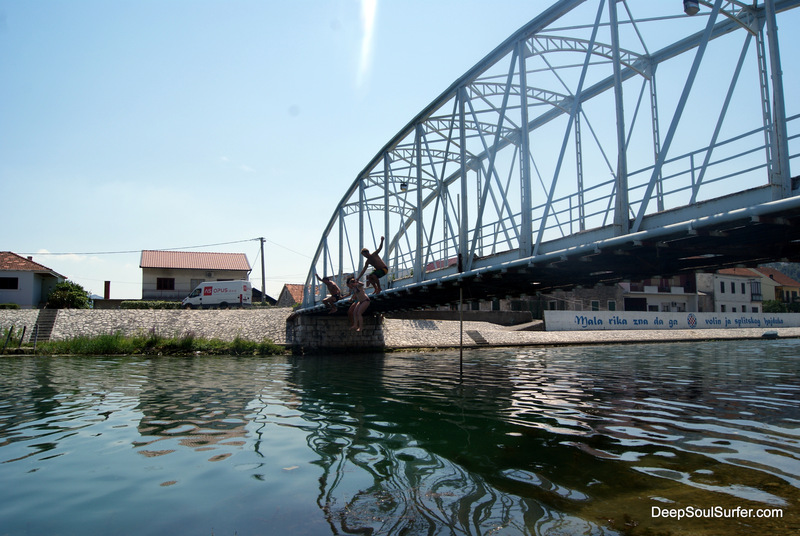 Croatia, Dalmatia, exploring, freedom, Friends, Kitesurf, Lifestyle, Neretva, outdoors, surf, Travel, vacation, Water Sports. Bookmark. I agree it is one of the most beautiful places on earth. I love Opuzen. Working hard in winter to be enjoy the relaxing summer sun, waves and the wind . . . Thanks for visiting my blog about Oaxaca. Opuzen looks like a very special place also, and I would love to try the seafood!